"Pawnee" boot offers you a square toe crepe sole boot in camo. PVC welt makes resoling easy for a boot repair shop that can fix crepe soled boots. Full leather foot with a manmade lining allows comfort in most weather conditions. Heel will support your spur. The foot leather is made to readily accept oil conditioners. 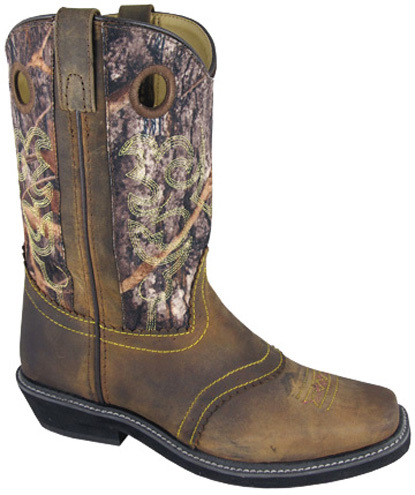 distressed brown is a favorite among women's cowboy boots.